On May 27th, H&M celebrated the grand opening of a new store at 86th and Lexington, carrying apparel and accessories for ladies, mens, teens and kids. 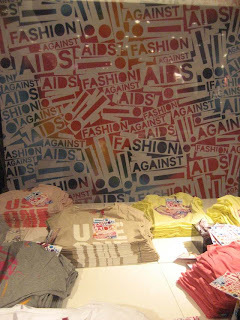 It was also the launch of exclusive Fashion Against AIDS t-shirts in which 25% of the sale price of this collection goes directly toward HIV/AIDS education and prevention efforts. 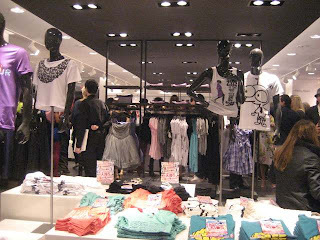 The entire store was 25% off for the night, so attendees happily shopped for spring/summer. 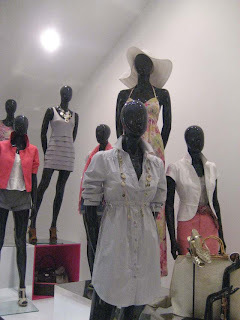 I was lucky enough to find a mustard-colored jersey tunic dress and white v-neck dress in XS (the perks of being one of the first to shop in a new store!). H&M is great for finding inexpensive basics or trendy pieces and they do carry XS so you should check it out! 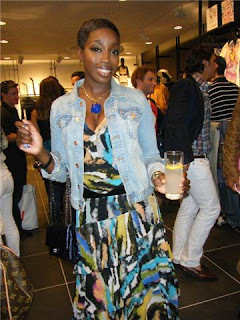 The music was pumping and Estelle mingled with the crowd and posed for pics. Drinks were sponsored by Belvedere Vodka, with refreshing Citrus Lemonade (Belvedere Citrus, lemon juice, sprig of thyme), Black Raspberry Caipirovska (Belvedere Black Raspberry, strawberry, muddled lime and mint) and Orange Basil Gimlet (Belvedere Orange, fresh lime juice, basil) drinks to choose from. 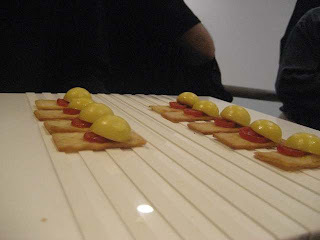 Creative Edge Parties, my absolute favorite catering company, provided the hors d’oeuvres, which are always unique and artistically presented. 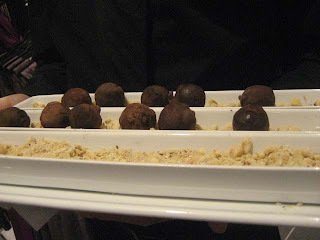 Sashimi, chicken summer rolls with curried vermicelli and Vietnamese basil, parmesan pudding on herbed foccaccia, truffles dusted with bittersweet cocoa and carrot cake were just some of the hors d’oeuvres being passed around.